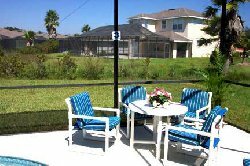 Perfectly located for visiting all of Florida�s wonderful attractions our villa is set in the exclusive gated community of Sunset Lakes. 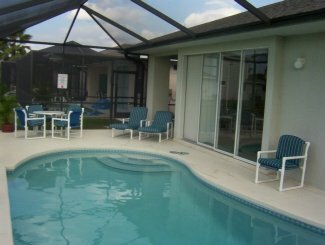 Just three miles from Disney World, Sunset Lakes is just a short drive from all the major attractions including theme parks, shops, restaurants and golf courses. Combined with the peace and quietness of being in a secluded residential development, our villa is an ideal holiday location for both families and couples. Fully air-conditioned and luxuriously furnished, our villa has its own private screened swimming pool and deck area with sun beds and patio furniture. 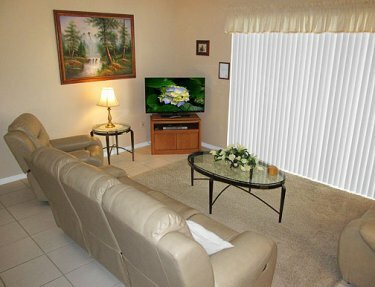 There are four bedrooms each with their own colour TV. 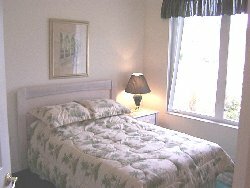 There are also DVD players in two of the bedrooms. 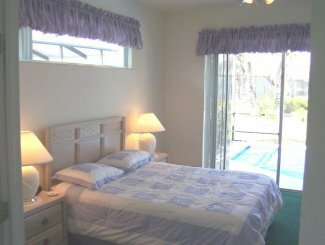 The master bedroom has a Queen size bed, en-suite bathroom and walk in wardrobe. 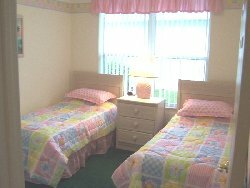 Three further bedrooms each have either a double or twin beds and share a bathroom. 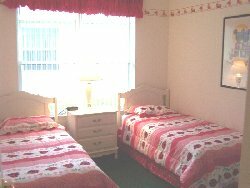 The provision of twin rollaway beds enables the villa to sleep up to 10 people in comfort. The fully equipped kitchen allows full self-catering facilities. 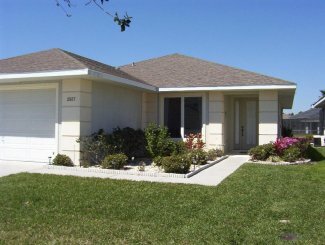 You'll enjoy the benefits of digital cable television, a DVD player, a VCR, High Speed Internet access and FREE local & International phone calls. The digital cable service provides access to 150 channels including the NBC & Fox Sports Channels (for coverage of Premiership games), the Disney Channel, the Cartoon Network, plus ABC, CBS and NBC amongst many others.